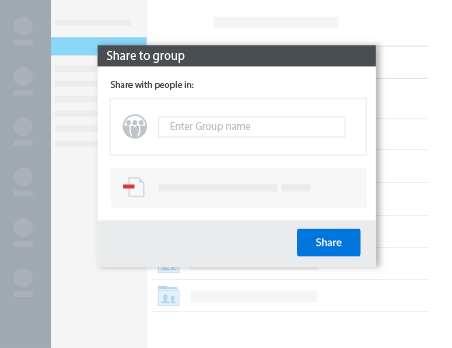 Drag and drop files of any size into secure online workspaces and simply share them with people inside or outside your organization. 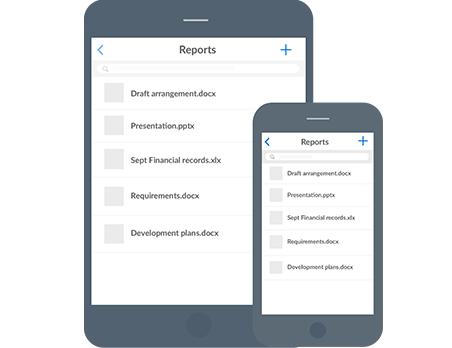 Instantly access, edit, compare and share files in one place with complete version control. Share sensitive or large files as secure links directly from Outlook or Microsoft Office to enable viewing and editing in a protected online environment. Online commenting eliminates complex email exchanges. Access files online or offline, anywhere to ensure you remain productive no matter where you are. Combining mobility and high level security, Workshare enables content to be synced across your desktop and mobile devices for secure access. Powerful search allows content to be located by title, folder, file or words within a document. 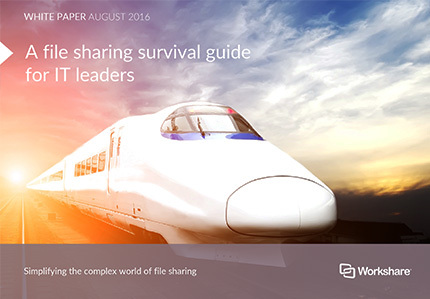 Simplify the complicated world of secure file sharing with this essential guide for all IT leaders. Workshare supports the actual development of files, not just the sharing of them. You can edit and maintain control over the versions being exchanged, making the process easy and productive. A single secure platform across your organization means less routes via which sensitive data can leave your business. Reviewing files, comparing versions and securing data can all be achieved with Workshare. 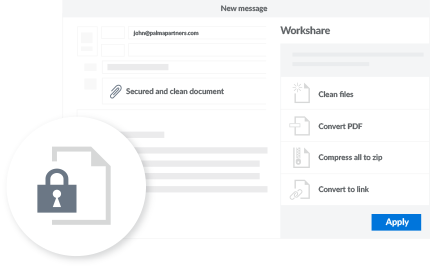 Workshare detects sensitive file content and removes it before it’s shared, helping you stay compliant with regulations, protecting your firm’s reputation.